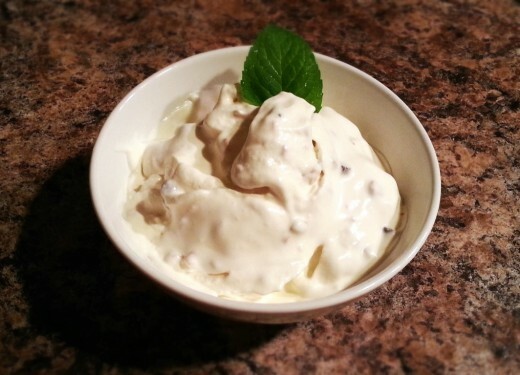 Ice cream is one of my favorite foods, if not my favorite. I probably shouldn’t admit this, but I eat it several times a week. 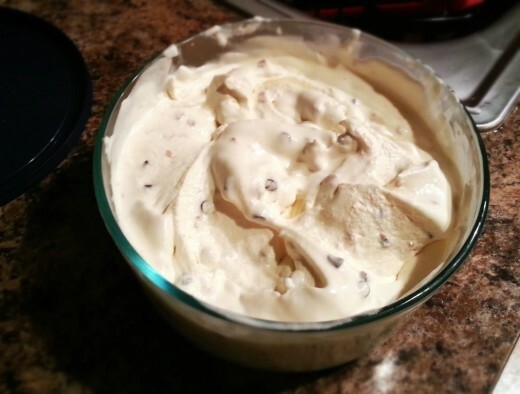 I’ve been really into making food from scratch and using real, natural ingredients, so of course I thought why buy ice cream when I could be making it myself? 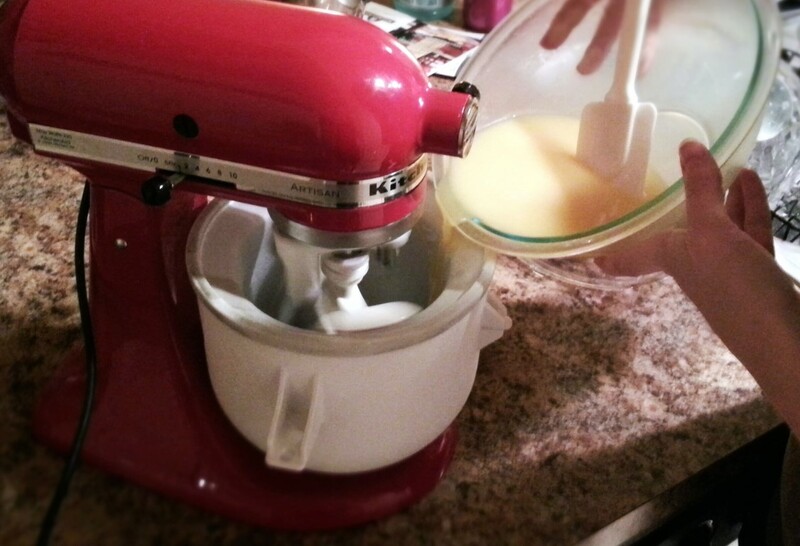 The only thing I was missing was the ice cream maker itself, but luckily it was my birthday a few weeks ago and my husband surprised me with one. 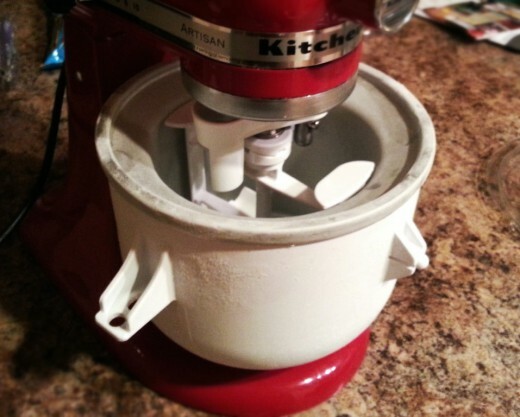 Since I already own a KitchenAid, he got me the ice cream maker attachment for it. I figured it made more sense than buying a whole new appliance. In addition to the ice cream maker, he gave me a Ben & Jerry’s recipe book. 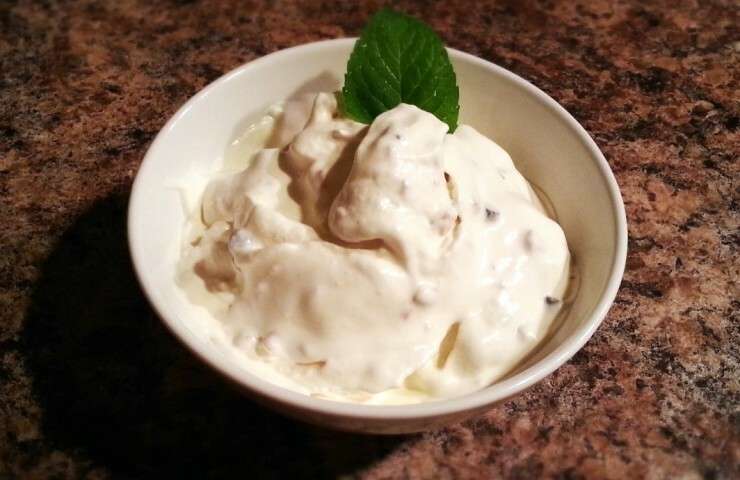 It’s filled with so many good ideas that it was hard to choose one to make, but I decided to use the basic sweet cream mix and add in Heath pieces. 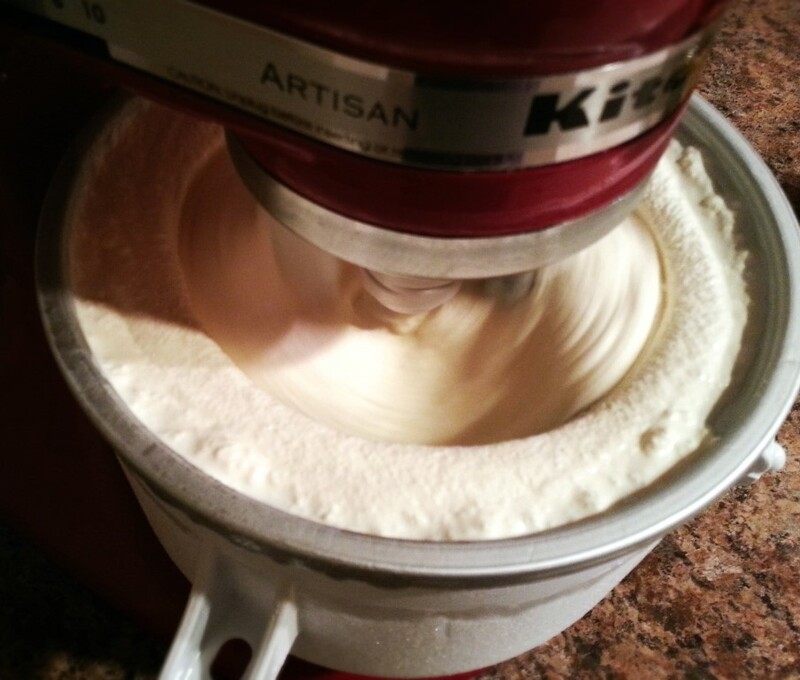 There a few things worth noting before making ice cream. First of all, you need to freeze the bowl overnight, meaning you need to plan ahead before you make it. 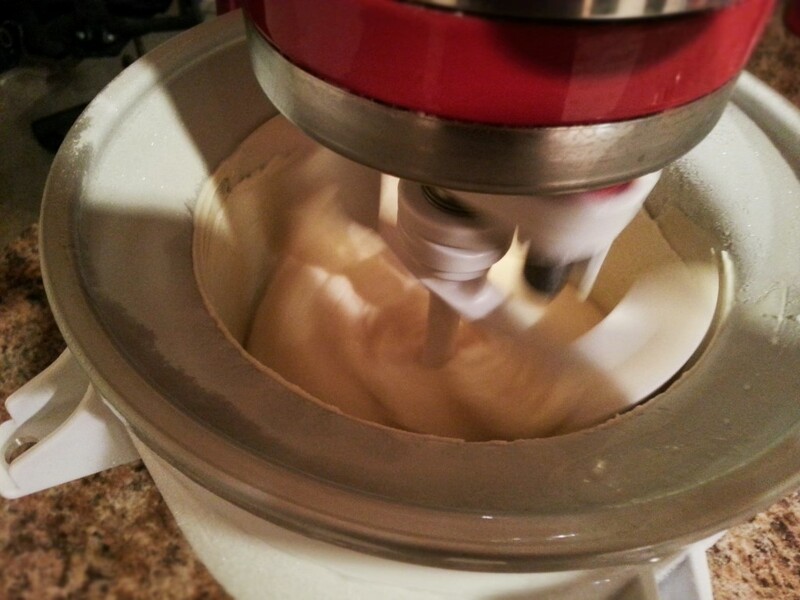 In addition, it’s very important to let the cream mixture cool long enough before adding it to your ice cream maker. I’ve found it works best to refrigerate it overnight. 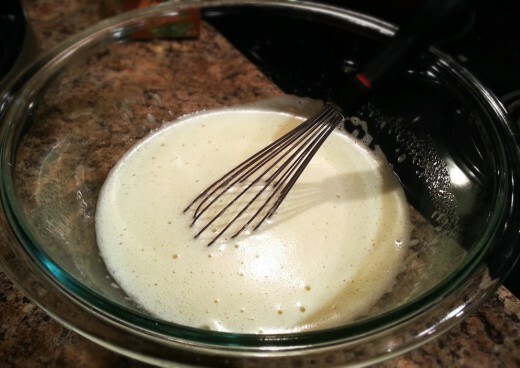 The cream mixture only consists of a few ingredients: eggs, sugar, milk, heavy cream, and vanilla extract. 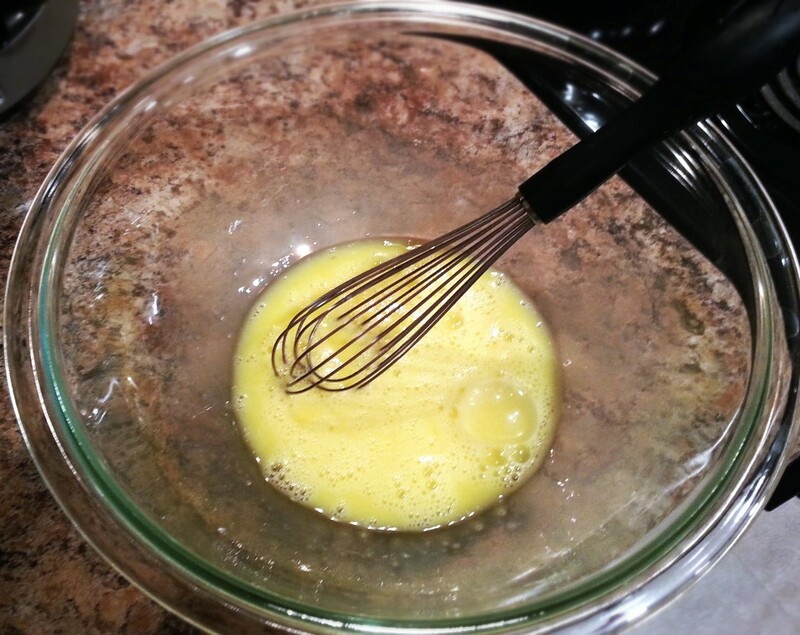 To begin, beat the eggs. 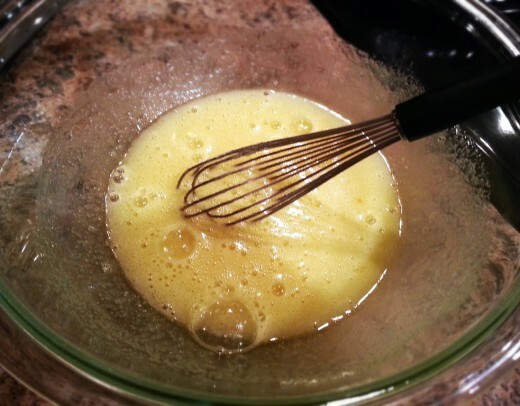 Then add in the sugar while continuing to stir. The interesting part about the Ben & Jerry’s recipes is they all use raw eggs. I wasn’t wild about making mine that way, so I decided to temper the eggs by heating the milk and slowing adding it to them. 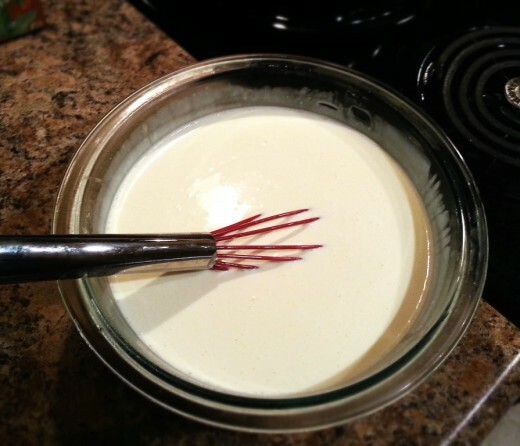 Adding the hot milk a little at a time prevents the eggs from scrambling. I continued to whisk the mixture until all of the hot milk was added. Then I poured it into a saucepan and heated it over low heat until the mixture thickened slightly. I transferred it to a glass bowl, covered it, and stored it in the fridge overnight. The next day (or when the mixture is very cold), I added the heavy cream and vanilla extract. 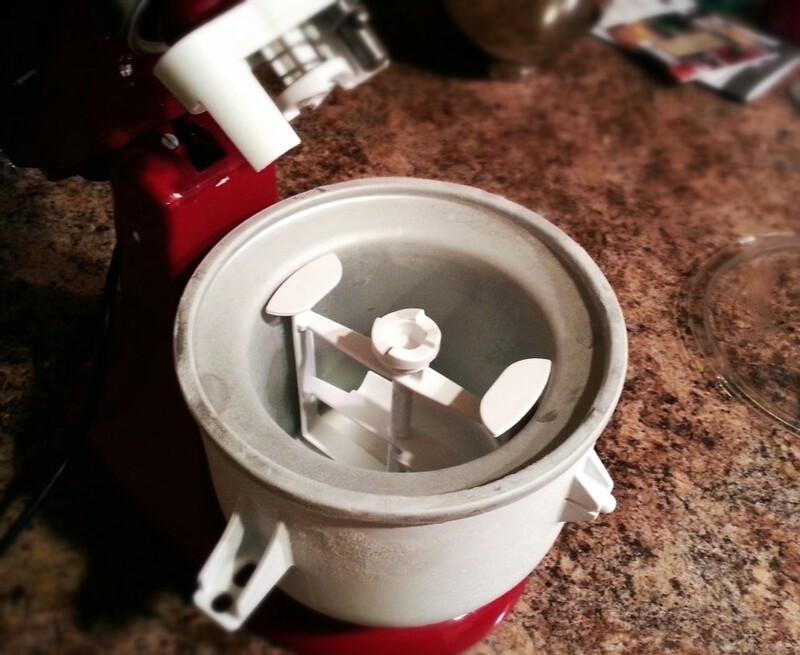 Before placing the mixture in the ice cream maker, it’s important to have it assembled and turned on. The instructions that came with my ice cream maker suggested using the stir speed. Once running, slowly add the cream mixture to the ice cream maker, and let it run for 20-30 minutes, depending on the recipe. With about 3 to 5 minutes remaining, add in the desired candy or mix-in. Once the ice cream has reached the consistency you’re aiming to achieve, turn off the mixer, transfer to a freezer safe bowl, and store in the freezer until you’re ready to eat. 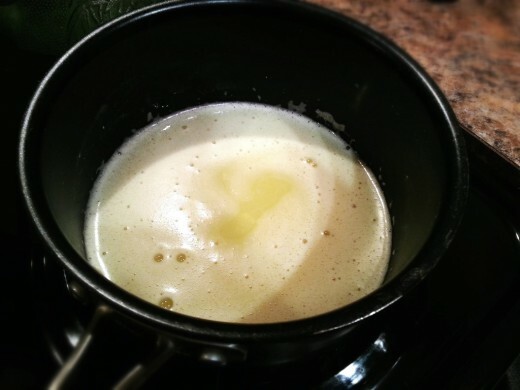 I sampled some of mine immediately, and while it was a little soft, it was still delicious.